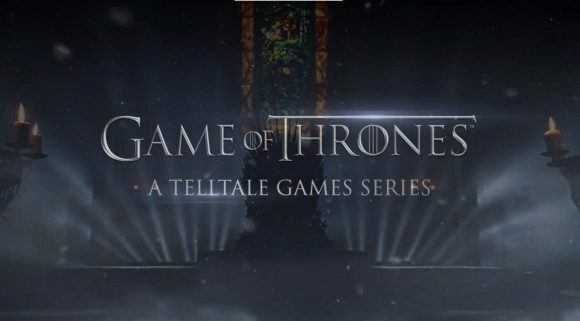 On the back of the simultaneous releases of Far Cry 4, Dragon Age; Inquisition, and the next-gen Grand Theft Auto V, videogame storytelling masters Telltale have proven the adage that you can’t have too much of a good thing by releasing the first teaser trailer of their upcoming adaptation of Game of Thrones. The teaser, true to its nature, is brief, but every bit as tantalizing as one might expect. Contrary to the cartoonish look of their other games, Game of Thrones has adopted a realistic look that’s sure to fit well with the series’s more serious, somber atmosphere. A point and click adventure game of identical style to The Walking Dead and The Wolf Among Us, Game of Thrones was announced at the 2013 Spike VGS awards, with George R.R. Martin’s assistant Ty Corey Franck acting as a story consultant for Telltale. The game will have a storyline that runs concurrently with the HBO series, specifically the end of the third season up till the beginning of the fifth season, and will revolve around the newly introduced House Forrester. A family that exists within Game of Thrones lore but not the TV show, five of the Forresters will be playable in the game, and player decisions will affect them all, as well as the ultimate fate of the family. “Multiply the actions of one character by five, and you’re truly playing the Game of Thrones… where you win, or you die,” says Telltale, an ominous warning that is in keeping with the series’s habit of killing off its main characters. A number of new characters developed by Telltale will be introduced, some of them playable characters, and these include Lord Gregor Forrester, the patriarch of the House, Lady Elissa, his wife, along with their children Rodrik, Mira, Talia, Ethan, Ryon, and Asher. A few characters from the show will make appearances in the game, such as Peter Dinklage’s character Tyrion Lannister, Cersei Lannister, Margaery Tyrell, and Ramsay Snow. The game will have six episodes and, according to its Steam page, will be available in December this year. In the meantime, Mashable has profiles on all of Game of Thrones‘s new characters that you can familiarize yourself with.